Nearly a quarter of Santa Barbara County’s population are immigrants. Forty-four percent of all residents are Hispanic or Latino. 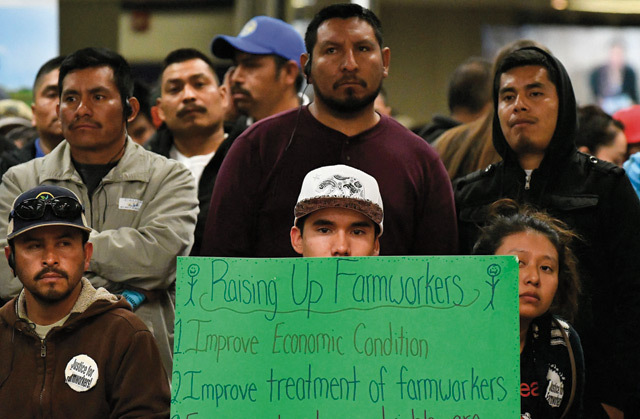 More than 11,000 undocumented farmworkers labor in county fields and ranches. Those figures and others were published earlier this month by CAUSE (Central Coast Alliance United for a Sustainable Economy), Santa Barbara’s leading advocacy group on immigration and working class issues. CAUSE drew its information from a number of accredited sources, including the U.S. Census Bureau’s American Community Survey, the California Employment Development Department, the Migration Policy Institute, and the Center for Immigration Studies. Below is the full list of statistics and additional data from the 2015 American Community Survey, the most recent census information available. The full survey is here.